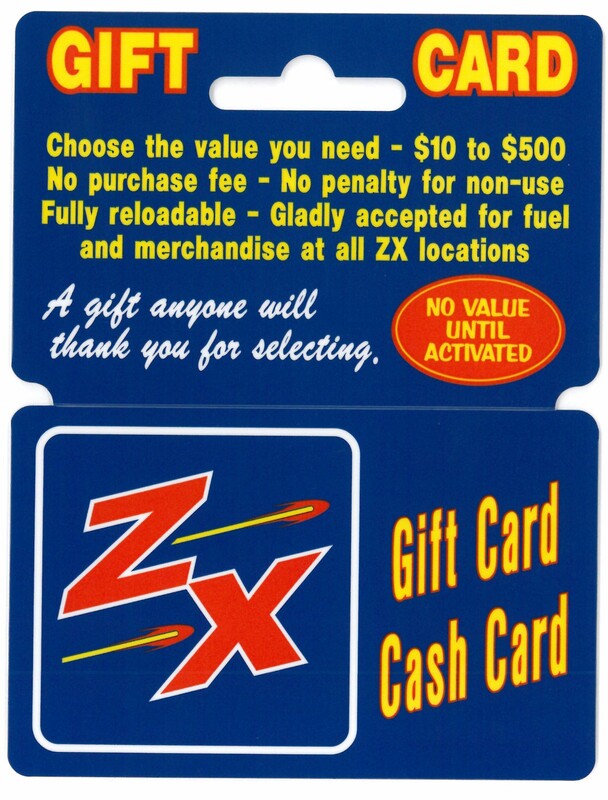 Some of our Hit-n-Run Convenience Stores sell quality ZX© fuel. 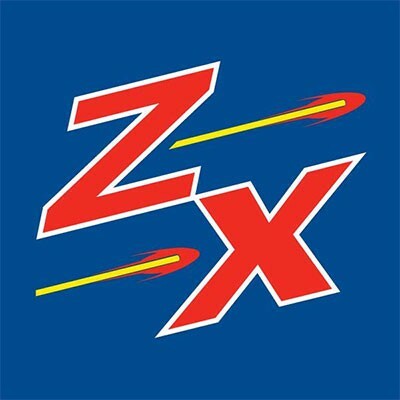 ZX© is the brand to count on to keep your vehicle’s engine running smoothly. ZX© fuels are guaranteed to exceed U.S. Government fuel specifications! Stop inside for Motor Oil, Power Steering and Brake Fluid, Fuses, Tire Gages, Antifreeze and Windshield Washer Fluid. Pay at the pump with Debit or Credit Cards or pay inside. No Fees and No Expiration! Q: What’s the single best thing I can do to save gasoline? A: Combine trips. Plan well and be sensible about how much you drive. Conserve by avoiding unnecessary trips, combining errands, and carpooling. Q: When I am behind the wheel, how can I get more miles per gallon? A: Accelerate smoothly. Jackrabbit starts consume twice the fuel as gradual starts. Also, pace your driving. Staying at a constant speed is better than continuously speeding up and slowing down. Slow down. The faster you drive, the more gasoline your car uses. Driving at 65 miles per hour instead of 55 miles per hour reduces fuel economy by about two miles per gallon. Q: Besides changing driving habits, what can I do to improve vehicle fuel efficiency? A: Maintain your vehicle. Have your car tuned regularly and keep tires properly inflated. An engine tune-up can improve car fuel economy by an average of one mile per gallon; under-inflated tires can reduce it by that amount. Also, less use of your air conditioner can improve fuel economy by as much as two miles per gallon. Q: Does it make a difference what car I drive? A: More fuel-efficient vehicles can save gasoline. A highly fuel-efficient vehicle could potentially cut gasoline use in half or more. How much depends on the vehicle and driving habits and needs. If a less fuel-efficient car requires 20 gallons of gasoline a week compared with 10 gallons for a highly fuel-efficient vehicle, more than 500 gallons of gasoline could be saved annually. A: Ethanol, which is often blended in gasoline, contains less energy per gallon than gasoline. However, a 10-percent or less ethanol blend would have only a slight impact on fuel efficiency. According to U.S. Department of Energy and U.S. Environmental Protection Agency fuel economy guidelines, E-85 (85 percent ethanol/15 percent gasoline blend) may reduce fuel efficiency by 26 percent. Q: Can I avoid fuel evaporation and loss by keeping my tank almost full? A: It shouldn't be a concern. Technical changes to vehicle fuel systems have virtually eliminated fuel evaporation losses. Q: Does it help to fill up in the morning when fuel is cool? A: Very little. While it’s true that gasoline expands as it gets hotter (reducing the energy content in a given volume), the expansion is only about one percent for every 15 degrees F. Moreover, storage tanks at gasoline stations are buried several feet underground, helping to insulate fuel and keep temperature relatively constant. The benefits, if any, of filling up in the morning versus the evening would be hard to notice. * This convenience store has alcohol to purchase at every location. Must be 21 or older to purchase.